Value priced below the market average! 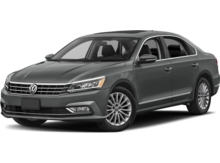 This 2018 Volkswagen Jetta 1.4T S, has a great Black Uni exterior, and a clean Palladium Gray & Black interior! -Only 4,573 miles which is low for a 2018 ! This model has many valuable options -Backup Camera -Bluetooth -Heated Front Seats -Front Wheel Drive -Security System -Parking Assist -Power Locks -Keyless Entry -Power Windows -Steering Wheel Controls -Cruise Control Automatic Transmission -Tire Pressure Monitors On top of that, it has many safety features -Traction Control Save money at the pump, knowing this Volkswagen Jetta gets 38.0/28.0 MPG! Call to confirm availability and schedule a no-obligation test drive! We are located at 777 Taunton Ave, East Providence, RI 02914. Value priced below the market average! 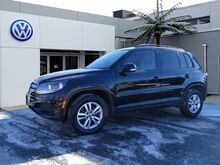 This 2016 Volkswagen Tiguan S, has a great Night Blue Metallic exterior, and a clean Charcoal Black interior! -Only 33,992 miles which is low for a 2016 ! This model has many valuable options -Backup Camera -Bluetooth -Heated Front Seats -All Wheel Drive -Security System -Parking Assist -Power Locks -Keyless Entry -Power Windows -Rain Sensing Wipers -Steering Wheel Controls -Cruise Control -Leather Steering Wheel Automatic Transmission -Tire Pressure Monitors On top of that, it has many safety features -Traction Control Call to confirm availability and schedule a no-obligation test drive! We are located at 777 Taunton Ave, East Providence, RI 02914. AWD, -Priced below the market average!- Low miles for a 2016! Back-up Camera, Bluetooth, This 2016 Volkswagen Tiguan S, has a great Wild Cherry Metallic exterior, and a clean Sandstone Beige interior! Heated Seats, Leather Steering Wheel Steering Wheel Controls, AM/FM Radio Rain Sensing Wipers Park Distance Control ABS Brakes Call to confirm availability and schedule a no-obligation test drive! We are located at 777 Taunton Ave, East Providence, RI 02914. Value priced below the market average! 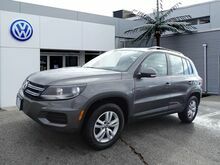 This 2016 Volkswagen Tiguan S, has a great Panther Gray Metallic exterior, and a clean Charcoal Black interior! -Only 28,788 miles which is low for a 2016 ! This model has many valuable options -Backup Camera -Bluetooth -Heated Front Seats -All Wheel Drive -Security System -Parking Assist -Power Locks -Keyless Entry -Power Windows -Rain Sensing Wipers -Steering Wheel Controls -Cruise Control -Leather Steering Wheel Automatic Transmission -Tire Pressure Monitors On top of that, it has many safety features -Traction Control Call to confirm availability and schedule a no-obligation test drive! We are located at 777 Taunton Ave, East Providence, RI 02914. AWD, -Priced below the market average!- Low miles for a 2016! Back-up Camera, Bluetooth, This 2016 Volkswagen Tiguan S, has a great Reflex Silver Metallic exterior, and a clean Charcoal Black interior! Heated Seats, Leather Steering Wheel Steering Wheel Controls, AM/FM Radio Rain Sensing Wipers Park Distance Control ABS Brakes Call to confirm availability and schedule a no-obligation test drive! We are located at 777 Taunton Ave, East Providence, RI 02914. Value priced below the market average! This 2016 Volkswagen Tiguan S, has a great Pure White exterior, and a clean Two-Tone Beige/Black interior! -Only 28,115 miles which is low for a 2016 ! This model has many valuable options -Backup Camera -Bluetooth -Heated Front Seats -All Wheel Drive -Security System -Parking Assist -Power Locks -Keyless Entry -Power Windows -Rain Sensing Wipers -Steering Wheel Controls -Cruise Control -Leather Steering Wheel Automatic Transmission -Tire Pressure Monitors On top of that, it has many safety features -Traction Control Call to confirm availability and schedule a no-obligation test drive! We are located at 777 Taunton Ave, East Providence, RI 02914. LOW MILES, Value Priced below the market average! -Bluetooth ABS Brakes -Power Seat -AM/FM Radio and many other amenities that are sure to please. 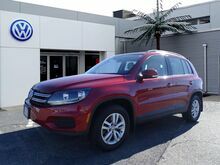 Based on the excellent condition of this vehicle, along with the options and color, this Volkswagen Tiguan is sure to sell fast. Value priced below the market average! This 2016 Volkswagen Tiguan S, has a great Pure White exterior, and a clean Charcoal Black interior! -Only 35,172 miles which is low for a 2016 ! This model has many valuable options -Backup Camera -Bluetooth -Heated Front Seats -All Wheel Drive -Security System -Parking Assist -Power Locks -Keyless Entry -Power Windows -Rain Sensing Wipers -Steering Wheel Controls -Cruise Control -Leather Steering Wheel Automatic Transmission -Tire Pressure Monitors On top of that, it has many safety features -Traction Control Call to confirm availability and schedule a no-obligation test drive! We are located at 777 Taunton Ave, East Providence, RI 02914. Value Priced below the market average! -Bluetooth ABS Brakes -AM/FM Radio and many other amenities that are sure to please. 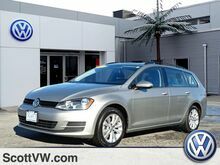 Based on the excellent condition of this vehicle, along with the options and color, this Volkswagen Golf SportWagen is sure to sell fast. Value priced below the market average! 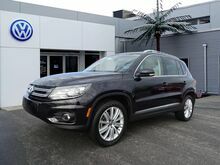 This 2016 Volkswagen Tiguan SE, has a great Deep Black Pearl exterior, and a clean Sandstone Beige interior! -Only 28,196 miles which is low for a 2016 ! This model has many valuable options -Navigation -Backup Camera -Sunroof -Panoramic Sunroof -Bluetooth -Satellite Radio -Heated Front Seats -Fog Lights -Front Wheel Drive -Security System -Parking Assist -Power Locks -Keyless Entry -Power Windows -Rain Sensing Wipers -Steering Wheel Controls -Cruise Control -Leather Steering Wheel Automatic Transmission -Tire Pressure Monitors On top of that, it has many safety features -Traction Control Call to confirm availability and schedule a no-obligation test drive! We are located at 777 Taunton Ave, East Providence, RI 02914.